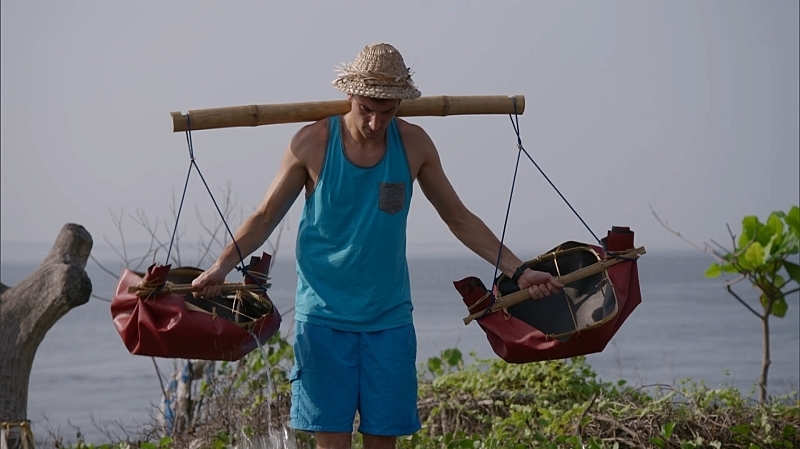 The Amazing Race is a contest made to challenge people as never before, and most of the contestants aren’t used to being physically or mentally pushed as far as the game pushes them. Except this week, we learned that one contestant in particular has walked through a fire hotter than anything the television show could challenge him with. Kurt Gibson, half of the Ultimate Frisbee “bro” team, told the audience that he fought, and beat, stage 3 colon cancer several years ago. Then Gibson said, “I was diagnosed at 22 with stage 3 colon cancer.” Gibson said he has been cancer free for seven years after battling through six months of chemotherapy. Fans on Twitter were surprised to hear about Gibson’s past struggles and sounded off to let him know they support and admire him, too. And while Gibson and Smith have been in first place for much of this race, they found themselves falling further and further behind during Week 9 and ultimately paddling for their lives in a foot (or boat) race with Zach and Rachel King. They just barely edged out the husband-and-wife duo for the fifth-place finish and a safe place in the race. While Gibson and Smith cut their social media teeth with trick Frisbee moves during most of their college days, of late (when not racing around the world), Gibson has been making a living working as a national account manager for PepsiCo.